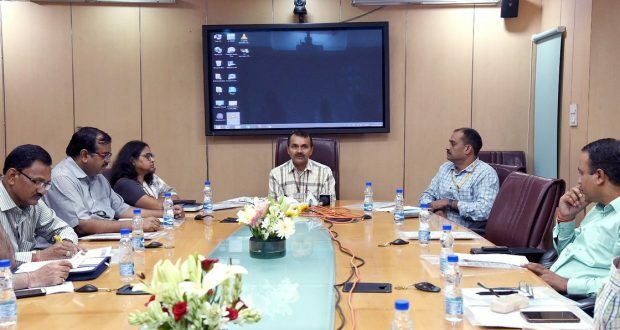 Newdelhi:8/8/18:The Ministry of Water Resources, River Development and Ganga Rejuvenation announced the winners for the first fortnight of the Jal Bachao, Video Banao, Puraskar Pao contest that was launched on 10th July 2018. Sh. Shreshth Sahu from Varanasi, Sh. Satish Mewada from Bhopal and Sh. Gopal Kumar Prajapati from Bokaro have secured the first, second and third positions respectively for the period 10th July to 24thJuly 2018. The winners will be given prize amount of Rs 25,000/, Rs 15,000/- and Rs 10,000/- respectively. Jal Bachao, Video Banao, Puraskar Pao contest was launched by the Ministry in collaboration with the MyGov portal of the Government of India with the objective of spreading awareness about water conservation. Any Indian citizen can participate in the contest. He or she needs to shoot an original video on the theme. They are required to upload their entries on YouTube and enter the publicly accessible link on the Video link section of MyGov contest page www.mygov.in. Three winners will be chosen every fortnight till the 4th of November this year. The response to the contest in the first fortnight has been good and it is encouraging to see that the winners of the first, second and third prizes are from different corners of the country. A total of 431 entries were received from MyGov, out of which 38 videos were shortlisted. After scrutiny of the shortlisted videos, top 3 were selected on the basis of various parameters. The participants are being judged on the basis of elements of creativity, originality, technical excellence, quality of videos and visual impact etc. Ministry of Water Resources, River Development and Ganga Rejuvenation appeals to the people of India to make and upload videos capturing the efforts, significant contributions, best practices in the field of Water Conservation, Optimum Water Utilization and Water Resource Development and Management in different parts of the country. Participants are requested to upload original videos only. Any innovative advertisement/commercial on Water Conservation are also welcome. The duration of the videos should be minimum 2 minutes and up to 10 minutes in Hindi, English or any other regional language and must not violate any provision of the Indian Copyright Act, 1957 or the Intellectual Property Rights of any third party.